Japan is notorious for being expensive. But for me, I was able to start off nicely by paying only $46 for a round trip air ticket. My travel stars must have been perfectly aligned: it was a matter of timing, some research and of course, using airline mileage I've accrued flying Cathay Pacific and its partner airlines. I happen to be sitting on 100,000+ miles as a Marco Polo Club member and when I began searching for possible summer destinations within my accruals, I saw a lot of award possibilities via partner American Airlines to Tokyo. Like other peak seasons, summer is when airlines usually scrimp on flight rewards but after the devastating earthquake/tsunami which affected northeast Japan, the usual slew of tourists and visitors dreaming of going there have dramatically declined - even if Tokyo and the southern parts of the country were totally unscathed. This meant a big blow to Japanese tourism industry. Hotels that were pricey have suddenly become affordable. For Tokyo and the other cities I will be visiting, I checked Kayak and then went into the respective hotel's website where I found great deals. All the hotels (and a ryokan) I will be staying at are just averaging around $55 a night! The most expensive thing I have to pay for in advance is the 1-week Japan Rail Pass, bought online for about $340 at JTB, (with the vouchers picked up in their Manhattan office). Since I will be doing several long-distance rail journeys (including the Bullet Train! ), this price actually comes out at a bargain than say buying tickets individually between Tokyo-Hiroshima or Tokyo-Kyoto. This pass allows unlimited use of JR trains all over Japan in one week. 14-day and 21-day passes are also available, with a choice of two classes: green and ordinary. 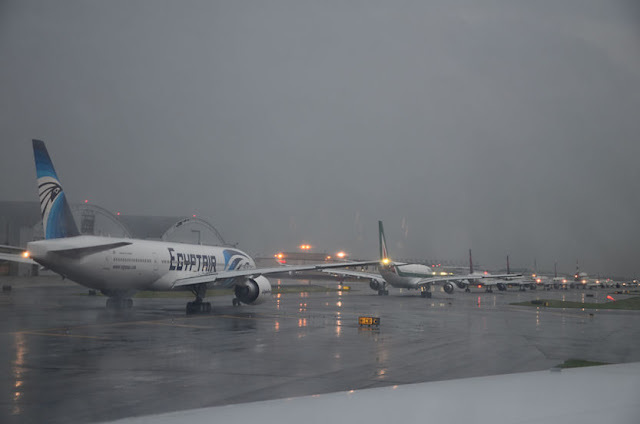 Bad weather blues: traffic jam at JFK. Our slot for departure was "number 33" - or 32 planes before us! As much as I was grinning with delight on this well-within-the-budget Japan trip, my flight to Tokyo - into much closer Haneda Airport at that - was delayed by foul weather last Friday evening. (Thank goodness the flight had less than 60% passenger load - no one sat next to me). So instead of leaving at 7:20PM, we didn't get to fly until 9PM. The pilot tried to make up for lost time once airborne, arriving at 10:55PM, or 45 minutes late than our original ETA. I was desperate to catch an Express Train to Asakusa since I know the last train leaves at midnight. As Tokyo has a formidable subway/train system that really looks like a messy bowl of ramen on the map, I have been using this very useful tool called Hyperdia to help me navigate the system (including all of Japan). Believe it or not, from the remote stand where our plane parked to taking a bus and going through a super-speedy immigration and customs (I only have carry-on), I made it to the ticket counter by 11:20PM. However, my research didn't tell me about cash-only transactions on the machines so the very helpful Japanese female agent directed me to change money first. Once that was done, it was already past 11:30PM and the agent checked schedules, directing me to take a Local train instead (and even escorting me to the elevator!). In the end, I got into Asakusa just around 12:30 midnight and walked into Blue Wave Inn, a business hotel that's so close to this area's main attraction, the Senso-ji Temple. Feeling drained after an almost 13-hour flight, I was pleasantly surprised by the cleanliness of my room and the amenities that came with it that I was so ready to hit the sack. It's really a small "single room" as is typical of Japanese hotels but I can't complain with what I've seen so far. Since there's no WiFi, guests are offered Ethernet connectivity instead (cable is provided). I even forgot to bring my power adapter but they were able to find me one. There were the usual amenities like slippers, toothpaste, shaver, shampoo and soap, flat-screen TV, fridge, a trouser-press and something unfamiliar to me - yukata, a summer Kimono in the drawer for me to wear! All these for 4,200 yen (or about $52) a night. Wow, you look just like me in that yukata picture when I got stuck in Narita for a day as a result of being bumped off a flight. And yes, I had the high-tech toilet bowl as well, so bizarre! whaat! only $46 for a return fare. i better make sure that my recent flights have been credited. i think i've covered gazillion na since jan this year. btw, we seem to have itchy feet around the same time, the only thing is we seem to go in totally opposite direction for the cure. hahhaha! you're in the southern hemisphere while mine's in the north. lol! nice way to spend a trip to Japan. seemed like the stars aligned so you can head to this country without spending much (except for the rail pass). On one hand you were wise to go when you went as prices look like they bottomed out. But on the other hand, with another quake hitting the same spot, I just hope you weren't there when that other quake came. and i am missing tokyo now, dennis! i stayed there for 14 days (could have been a month but i chose to go home for reasons) and those 2 weeks were remarkable! i bet you had so much time too... basing on your photos, wow! ang saya ng murang airfare because of your miles rewards. i like your yukata, but i think darker color would fit me better, hahaha! ps : can't wait for your next post. i'm ready to drool at those authentic sushi, sashimi, sukiyaki, yakitori etc.. hahaha! ps. keep your portraits coming! I really like this thing they have in their toilets - I now wish I have one in my apartment haha! yes, you better check since I consider free tickets & upgrades as our "return of investment" in the end. hopefully, you've been flying faithfully on the same airline or at least its partner airlines. I do have other pictures of me randomly posted somewhere here :) yes, that was just the first night and I already saw how gadget-oriented many Japanese are. You know what, my Tokyo-based friend who I met last Sunday did ask if I felt the tremors. At the time though (around 10AM), I was on the subway so I couldn't tell. I had sushi in Tsukiji market early this morning!!! kahit di ko gusto I ate a whole order just for the experience - it was actually very good. naku, may especial request ka pa to keep my portraits coming hahaha! 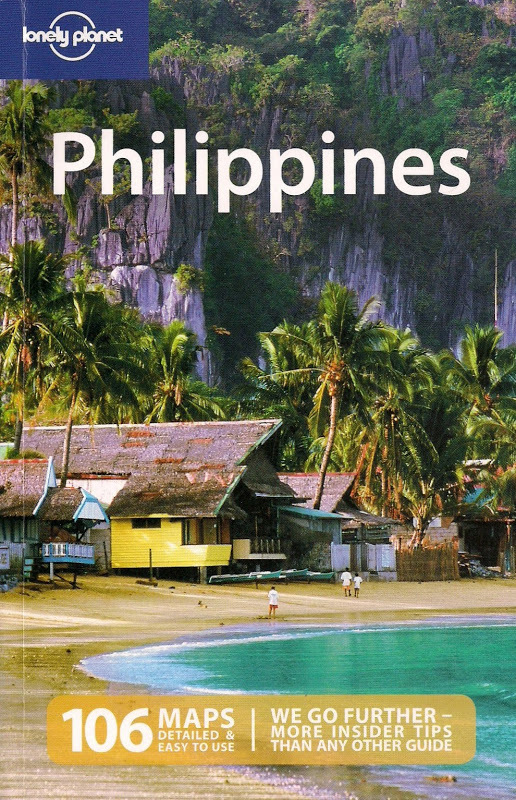 Eto naman ang sa akin, ituloy mo ang Japan trip mo - it's really a great destination kahit naka-tatlong araw pa lang ako dito. Have a great time there! The country is beautiful and so are the girls. $46 for a round trip to and out of japan! whoa! the jr train pass is the best option to go around. in tokyo alone sulit na sulit na kasi ang daming lines. yukata in hotels... i love that. though not all hotels have that. Your airfare is unbeatable! Everywhere I go, I take a mental note of the official (and unofficial)fire exits first. hahaha, you do have an eye for beauty! It's really worth investing on a JR Rail Pass - I don't see myself taking a domestic flight in Japan when their trains are already so fast. the $46 I paid was only for the tax imposed by the airline. so worth saving all those miles! mukhang may balak ka yatang mag-Japan ah :) can't blame you. kung pwede nga lang i-uwi hehehe!